This cantle bag is made out of our popular 28 oz. Bear Cloth material. 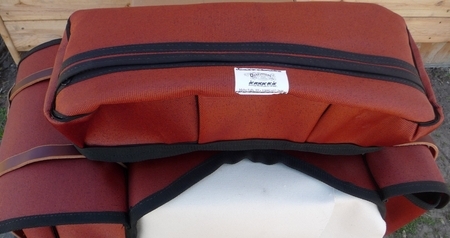 The bag can be used by itself or with the small or large size Bear Cloth Saddle bag. 4 x D-rings are sewn onto each corner on the bottom of the cantle bag.